market-interview.com: How important do you think social media marketing strategy is for companies? Is it more to keep clients informed or also to get new clients or also to stimulate turnover or just for image? Mervyn Levin: The impact of social media on companies across sectors and any size is now huge and on a global scale. We are still at the outset of a social media revolution. Every business is now a digital business because of converging IT trends, which include social media. Social Media is merely a subset of the term 'Social Technologies', which also encompasses 'Social Web and Mobile Applications' plus 'Enterprise Social Networks' so when using the term social media here I actually mean the wider context of social technologies. The transformation that businesses need to undergo is going to be very challenging – for leadership, people, processes, tools and applications. Social media has become disruptive, pervasive and fundamental to the marketing strategy of a growing range of companies. It increasingly spans the whole product lifecycle. This includes promoting brand image and awareness, acquiring clients and nurturing client loyalty. For example, the vast majority of consumer surveys reveal that an individual’s propensity to buy is heavily influenced by referrals from friends, whether off-line or on-line. Social media is also increasingly being used to harness ideas and suggestions from a company’s community - suppliers and clients - for collaboration on co-creation. This fuels innovation, feeding into product enhancements and developments. It is therefore imperative that companies weave social media deeply into the fabric of their corporate culture, business model and systems. They will need clever management to execute an effective strategy. The ability to engender deep customer trust and be unfailingly user centric is at the heart of a company being able to successfully leverage social media for growth and competitiveness. market-interview.com: You told me about the strategy of Facebook, Google+, Twitter, YouTube, etc. How can companies use a multi-channel strategy combining different type of media for their success? Or in other words: Which media is better to promote with which content? Mervyn Levin: There is no easy answer. One size does not fit all – the channels are complementary. Context and content go hand in hand. All these media have a role to play as part of a company’s integrated marketing strategy, e.g. Facebook for community; Google+ for learning, collaboration and co-creation; Twitter for building a following for announcements and updates; YouTube for videos with the potential to go viral. And there are many other useful social media platform tools. Of course, there are inherent risks in social media. Companies can no longer control information about their products and image in the same way as with traditional one-way broadcast media communication. This could have unintended consequences, desirable and not so desirable from a company’s point of view. A couple of pointers to guide a successful multi-channel strategy include the capability to personalise content to suit individual user preferences while respecting privacy. This is not a trivial challenge as user trust and regulatory considerations such as data protection come into play. Another key factor is ‘out of the box’ thinking and openness to developing new partnerships, e.g. for innovating in the delivery of company services and products through engaging, interactive social applications/apps. The bigger picture is to recognise the emergence of a major digital economy value chain coalescing around the collection, distribution, management, analysis of the data deluge and its convergence and application into new products, services and solutions. Everywhere I go across Europe and Asia there are interesting examples of the Data to Knowledge to Application value chain. The speed and scale of this opportunity is huge – 90% of all shared data has been created in the last 2 years and it’s coming from the many parts of social media, the Internet of Things (only 0.2% of things that can be connected have been connected), the increasing amount of open public and private data, and new digital content. Personal data is an asset class every bit as valuable as gold or oil, according to the World Economic Forum. This explains the surging interest of investors – both public and private. Within this value chain from Data to Knowledge to Application, innovative companies are able to launch new products, services and solutions based on mashing big data from social media and many other sources. All this requires savvy ‘Social Leadership’ and building organisational capacity combining skills in-house with those of partners. This type of leadership is at its core based on the principle of 'openness'. The ‘Social Leader’ encourages 'Personal Leadership' in every networked node of an Individual. This type of Networked or Social Organisation is mainly driven by ’Social Purpose' as explained by Nilofer Merchant in her book: "11 Rules for Creating Value in the Social Era”. market-interview.com: Social marketing specialists encourage their clients to get many "fans or followers". For some companies it could be difficult to find good and interesting content for their social network users. What kind of content would you suggest to keep the "fans or followers" in your network successfully? Mervyn Levin: Companies rapidly need to get to grips with new content and product formats that are designed from the outset to be consumed across multiple channels and platforms. They also need to actively encourage collaborative generation of ideas that promote ‘stickiness’ and enhance a company’s reputation and value. What organisations need is a ’Strategy of Engagement’. Inforganics Labs is a good example of a consultancy that applies this strategy effectively. The key here is for companies to understand clearly the demographics of people they want to reach, their varying levels of engagement, and build or contribute to communities of interest that are engaging and relevant. This can only be done by participation, which of course requires resources, time, skill sets, curiosity and the willingness to share. Nobody will share with you unless you share first - meaningfully. This creates 'Trust' which is the key currency in ’Social Behaviour'. Overt advertising is usually a turn off and counter productive. Sponsorship of a wide variety of initiatives and events can be highly effective. Music, Tourism, Health and other lifestyle themes are proven community builders. 'Collaborative Consumerism' with examples such as Airbnb is a strongly growing trend based on the social principles of openness and transparency. An effective focus on consumer pull, generating and retaining interest also necessitates deep awareness of location and a keen understanding of the benefits of geography. Innovative hyper-local cross-media platforms and enabling technologies are driving new service and product offerings, e.g. centred around transport and education. A growing number of companies are learning how to tap into and encourage a sense of belonging to local communities - cities, towns, villages - with appealing propositions. Encouraging such community and collaboration, in conjunction with tailoring information to the differing information needs and desires of diverse company stakeholders across a range of social media channels, is a significant challenge for companies to get right. market-interview.com: Facebook offers also to "buy" new fans. What do you think about this? Because in the end are these users from the beginning not really interested in the product or company? Mervyn Levin: There are pros and cons. The approach to ‘buying’ fans risks breaking trust with genuine fans. But these bought users could also become genuinely powerful brand advocates and champions across their own influential personal networks. They can be incentivised to grow the company’s community. There is nothing wrong with that. As with any social media strategy, there are inherent risks that need careful weighing and management. Authenticity of the company, the brand and the social media experience will always be key. Authenticity is a timeless virtue – difficult to acquire, easy to lose. Social media technologies simply can magnify a company’s reputation (or notoriety) with breathtaking speed. 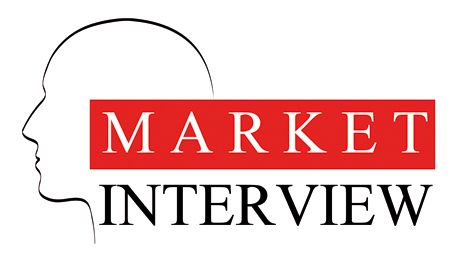 market-interview.com: Mobile Marketing and Mobile Commerce will be the next stage of development. How important is the successful development of App-Users for a company? Mervyn Levin: Without a mobile strategy, companies will not only lose opportunities but risk becoming extinct. Mobile is the fastest growing area of the Internet and is transforming the behaviour of consumers. But consumers will buy more via their mobile if the experience is better. Often poor user experience is holding consumers back, as is a fragmented payment system and a lack of trust in using a mobile device to make a payment. Apps that work in isolation are a further obstacle. An initiative such as Google's 'Project Glass' is likely to reshape Mobile. Many types of payments will probably be made by the blink of an eye in the future. Contextual technologies like ‘Google Now’ which already works quite well, is another trend that will make technology more seamless. User behaviour and actions will be more tightly linked. All information will automatically be filtered to fit your current needs, location and likes. You will categorise information and connections along the lines of: Interesting - Relevant - Necessary. You will need to decide if it's worthy of engaging with or not. This will mean that we may sometimes become more Robotic-like in our behaviour... And that takes us to the next level: Cyborgs. The challenge now for companies is to design products, services and apps that enable mobile commerce in a convenient and secure manner. Companies need to engage with new standards, value chains and ecosystems, e.g. Near Field Communications (NFC) to ‘wave and pay’ with smart phones, and integrate with other payment mechanisms such as bank cards, bar codes, mobile wallets. We all know that some user groups find it hard to understand and use digital technology and can be left behind. But the latest generation of smart phones, tablet computers and apps provides a greater opportunity than ever to work for all users. Companies need to ask themselves some very tough questions: How might solutions be designed to be attractive and with clear propositions that facilitate their adoption at scale? How to keep consumers safe even though they may be naïve about the threats? How might consumers best be guided towards mCommerce behaviours that do not expose them to fraud and theft? To take the retail environment, which is ripe for massive innovation. For example, augmented reality on mobile devices enriches the physical shopping experience in cities, towns and malls. Also, providing tempting offers of mobile coupons and vouchers tailored to an individual’s changing location, combined with easy and trusted mobile payment fulfillment mechanisms. Providing value through Memberships is going to be a very strong motivator for retention. For example, signing up at a local grocery store and downloading its app to receive weekly offers of products that you regularly buy can be very attractive. Approaches to mobile marketing and commerce in the advanced economies are not necessarily relevant to emerging countries where a vast number of people do not have bank accounts. Mobile money tools were pioneered in Africa, notably Kenya, and have been adapted in other emerging economies. South Asian countries, Philippines and Thailand are among the countries in the vanguard of innovations in mobile payments. market-interview.com: There is still E-Mail Marketing via Newsletter. Don’t you also think that this media is being overtaken by social networks and Apps? Mervyn Levin: Traditional media - and e-mail is included here - still very much has its place. Only a holistic approach can work for companies by being agile, involving trials and testing, a willingness to accept fast failure and flexibly switching emphasis on specific marketing channels whether e-mail, social media, even TV. This necessitates a deep understanding of customers, their changing fashions, and the roll out of new platforms. Witness for example the advent of second screen applications, specifically social media applications centred on popular TV programmes. This involves building live communities across a new ecosystem of viewers, programme makers, brand owners, advertisers, service providers catalysing rich conversations and trending around the content and context of programmes. And this brings us to what some experts call the 'Next Big Thing' - ’TransMedia’ with all media merging, the common denominator being screen based, independent of the device. A key ingredient for a successful company marketing strategy is to understand how cross-platform analytical metrics and feedback tools can enhance understanding of the consumption of products and services in a digital landscape that is simultaneously converging and fragmenting. The capability to track and analyse specific user behavior facilitates evaluation of which channel alternatives are most effective at any point in time, e.g. Facebook, Twitter, Blogs, e-Mail, Mobile apps. This also helps companies to develop appropriately targeted and focused advertising campaigns. Take the example of the ’Social Media Command Centre' best illustrated by UPS, the international transport company, when replying to a customer comment on their global Facebook page, immediately gathering critical missing intelligence that the local provider lacked, feeding back the information so that the customer could receive the package within the hour! Simply amazing customer service that gives you a hint about what type of organisation needs to be built to serve customers on a global scale. Such feedback tools are enabling companies to discover user sentiment and build a verifiable understanding of what individual users actually do and expect. There is significant commercial potential in the ability to combine data sourced from a variety of channels and platforms, and to present and visualise this coherently, meaningfully and accurately in order to build better product and service offerings. The critical aspect here is being able to adapt your organisation so you may act in the ’Real Time Flow of Information’. You need to become more or less a versatile ’Real Time Enabled' organisation. Customer Service is the new ’Real Time Marketing’ and in many cases also the Sales Organisation. As a Brand you are putting on a Show! Stories such as the above-mentioned UPS example spread like wildfire on social media platforms and networks, blogs, etc. It’s all about measurement, interpretation and sound judgment – how customers think, to better predict how they will behave and so better understand them, and putting the processes and channels in place to delight them. There is a shortage of skills in exploiting what is often referred as Big Data but smart social tools are rapidly emerging to help. In large companies these tools also need to be embedded into intra-company Knowledge Management systems. The companies that build capacity in this area and master the skills well, using the increasing amounts of social data to evidence and justify their multi channel strategy, are the ones more likely to achieve success. market-interview.com: The last question: What would you suggest to companies who are still not using social media platforms and mobile commerce instruments? Mervyn Levin: Embrace social media and be bold, otherwise risk becoming dinosaurs, lose competitiveness and watch market share plunge. Set up a networked organisation, which will be the key for survival in the Social Era. Adopt social media and mobile commerce with wide open eyes, develop new partnerships, ensure the right skills are in place to design appropriate content and services, and be passionately customer focused. Demonstrate deep understanding of the social and psychological dynamics of customers in the markets you serve. These markets are all different requiring innovative and compelling social media approaches even if the product is similar. Measure relentlessly the impact of social media. Social media is very likely to change business models and reshape companies. Don’t see these channels as ‘just’ add-ons. In short, adapt continuously or risk being swept away by the digital tsunami. market-interview.com: Thank you very much for sharing your useful knowledge and insights. I am sure that this will guide businesses with the development of successful strategies. Please contact Mervyn Levin mervyn.levin@gmail.com for further details. Dieser Artikel wurde bis jetzt 21093 mal gelesen!